Dancing with Bez is a surreal experience. The man’s a Manchester legend. His gregarious personality goes far beyond Manchester. You remember Bez and his maracas, right? The Happy Mondays stalwart, on stage next to lead singer, Shaun Ryder, and Rowetta (the glamorous, sassy singer – and new pal of mine – who’s famous for pumping out those cracking soulful harmonies with them on stage). But back to Bez. And beer. 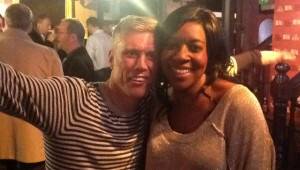 Did you know Bez is a beer lover? 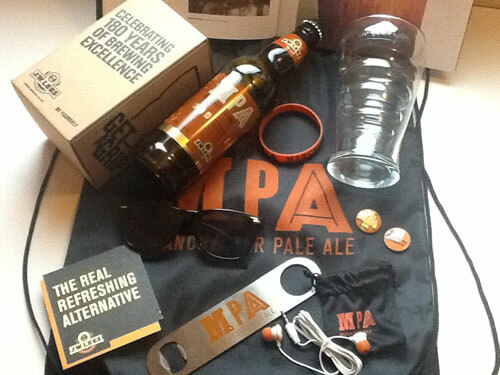 Well, JW Lees brewery does and they reckoned he was the right man to help put their new beer, MPA – Manchester Pale Ale on the map at a launch at Rain Bar. It was all kicked off with a pub quiz hosted by DJ & comedian, Mark Radcliffe. Then Bez DJ’ed and danced his socks off. I somehow got roped in. And you can see from my video, he’s got some skillz. I, on the other hand, have two left feet. At 3.7% on cask, 4.1% in bottle MPA is more of a ‘session’ beer, I’m not a session drinker. 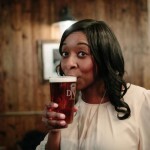 This beer is not for me, and not aimed at me either. I’m always after big flavours. But granted, for a session lover it touches all bases: golden, smooth, with a very subtle lemon-fresh aroma, and something of that translates into the flavour. Very drinkable but it didn’t wow me. Listen to the story of the beer (explained by MD William Lee-Jones and Head Brewer, Michael Lee-Jones) and you’ll see why it all adds up for JW Lees. 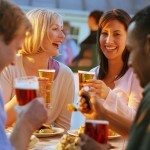 They also looked to raise the pre-launch profile of the beer with a photography competition. People had to enter photos which for them evoked contemporary Manchester. You can see the winning entries on the MPA website. The ‘au revoir ‘goody bag was knock-out. Never seen so much stuff crammed into one bag! Oooof! If you register online you can get hold of some of them too, as well as a book of the photos from the comp. Here’s wishing MPA the very best on its brand new journey!